Built to provide intrinsically safe air movement where it is needed. 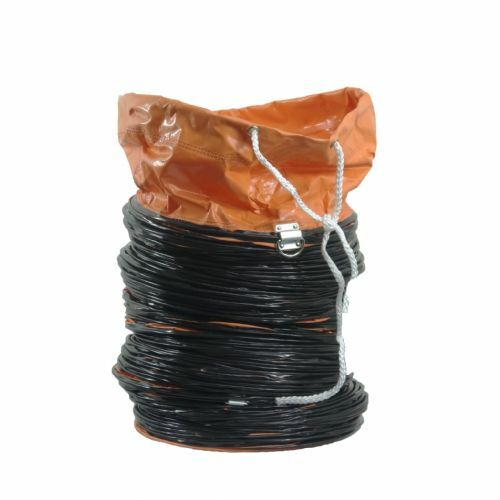 Ideal for industrial applications whether ship repair, boat building, construction, construction equipment rental, mining or auto engineering. The Miniveyor Air VAF-300P-FRL is built to provide maximum power where it is needed and is the ideal confined space exhaust fan for welding, concrete cutting or demolition. It is also a great blower during remediation work following flooding to dry out buildings. The VAF300P-FRL vane axial fan is the professional choice for construction site work and is available in either 110V or 230V. It works on positive and negative airflow and is at home either extracting dust and fumes or blowing clean air into a workspace. In fact whatever the industry you work in whether it is ship repair, boat building, construction, construction equipment rental, mining or auto engineering, the VAF-300 will take whatever is thrown at it. The Miniveyor Air VAF-300P-FRL vane axial fan has several new improvements including a new and stronger duct ring with integrated grill, improved mounting of flexible ducting, strengthened motor mounting, and reduced weight. The 12" diameter VAF-300P-FRL ventilator, weighs 13 kg and can provide 3400 m cube/hr (2000 CFM) of air flow, driven by a 750W (1 HP) motor. The double wall construction protects the inner casing from being dented giving extended product lifetime. Dented or damaged casings are a common cause of failure with traditional metal fans. 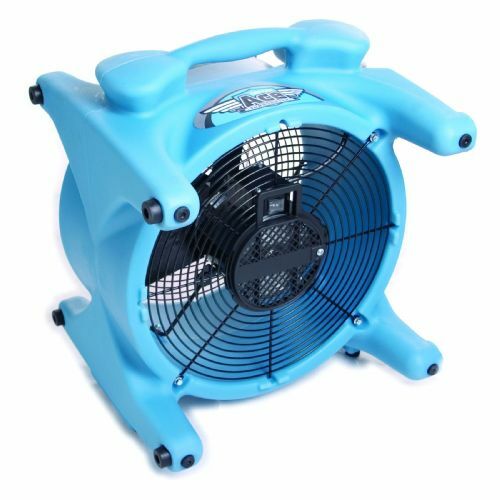 The ventilator fan body is made from a dual wall polythene rotational molding which allows it to withstand the knocks and blows normally found in industrial use. It can outperform conventional metal bodied fans several times over. In fact the manufacturer is so confident in the VAF-300P-FRL’s quality then they offer it with an industry beating 10 YEAR warranty upgrade on the fan body. VAF-300P-FRL Series blowers can be easily stacked on top of one another for both storage and operation (up to 3 high) giving maximum airflow from minimum floor space. 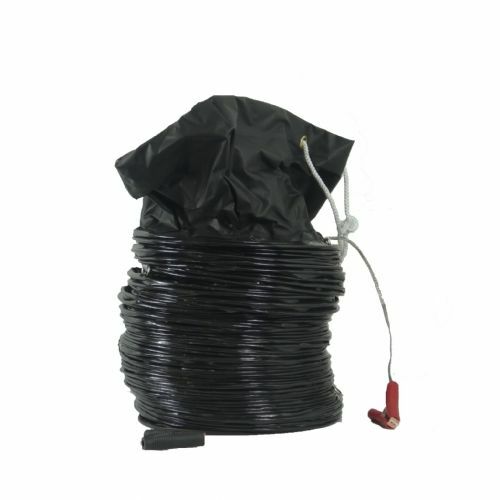 You can use the VAF-300P-FRL with up to 3 lengths of our 7.5m (25ft) ducting.